The letter follows criticisms that Pie Face was paying 30 to 40 per cent higher for rent than any other retailer as the company saturated CBD sites in Melboune and Sydney. "It didn't make sense at the time. The rental levels they were putting on the table were extremely high," one Melbourne-based commercial agent told Fairfax Media. "They were signing off deals within 24 hours. They weren't looking after franchisees very well in terms of getting them competitive market rents." Collapsed fast-food chain Pie Face is writing to landlords seeking rent cuts, arguing rent reductions would help the business survive. In a letter to landlords seen by BusinessDay, administrators Jirsch Sutherland say: "It is incumbent upon us to approach landlords such as yourselves formally, with a specific request to consider an immediate rental reduction." The rent reduction figure is to be filled in individually. "The Pie Face franchisee at this site needs to reduce their overall costs of operation and their rental is a major cost in their ongoing viability. "At a franchisor level we have embarked on significant cost reduction measures from the production in our central kitchen facility all the way to our support staffing costs. "We are cutting these costs out of the business in an attempt to ensure our franchisees longevity, and we urge you to please consider our request for a rental reduction very seriously." The letter follows criticisms that Pie Face was paying 30 to 40 per cent higher for rent than any other retailer as the company saturated CBD sites in Melboune and Sydney. "It didn't make sense at the time. The rental levels they were putting on the table were extremely high," one Melbourne-based commercial agent told Fairfax Media. "They were signing off deals within 24 hours. They weren't looking after franchisees very well in terms of getting them competitive market rents." 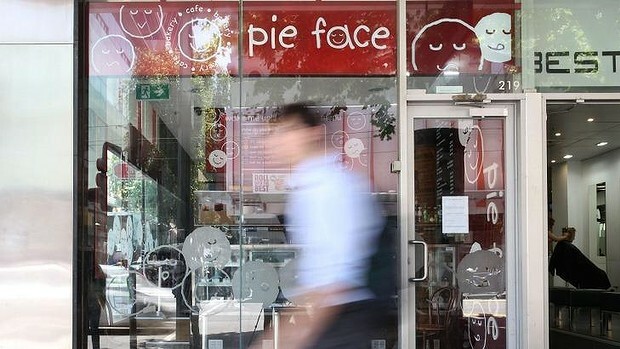 Administrators are calling for expressions of interests for Pie Face, after Franchised Food Company chief Stan Gordon revealed he had expressed interest in the business. Supermarket giant Woolworths is also trialling selling frozen Pie Face pies at some stores. Jirsch Sutherland did not respond to calls. Pie Face collapsed weeks ago, leading to dozens of store closures and about 130 jobs lost. The company owes more than $20 million, with an unknown amount owed in superannuation. Its recent creditors' meeting revealed that weekly outgoings were exceeding sales by about $150,000 and there were intercompany loans of $33 million. Sales reports seen by BusinessDay show declining year-on-year sales across NSW, Victoria and Queensland, with Pie Face stores taking an average $298,832 in sales since July. For franchises, the average is lower at $268,555. The sales report shows the average transaction value was $6.94 and the best-performing store brought in more than $41,000 in weekly sales while the lowest brought in just under $3,000. The report is for the week ending 23 November, the week Pie Face collapsed and before the recent store closures.